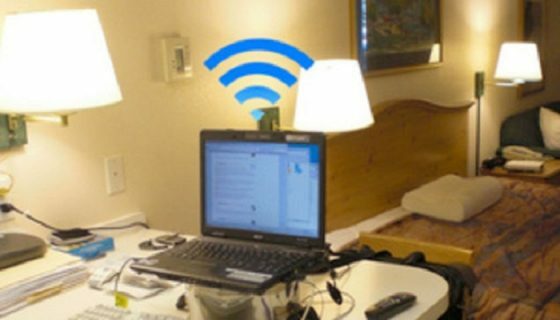 2 Turn Your PC/ Laptop into a Powerful WiFi Hotspot? 6 Haven’t You Created WiFi Hotspot for Yourself? It is a magical word. Both you and I will rush to the place if a WiFi connection is available there. We are living in a portable era. Everyone loves smallness. So, it is not possible to carry a broadband connection with us every time. Then, another option to access the internet is via mobile networks. But considering the cost of a month and comfort, it is not up to the mark. Then, the only available choice is that mesmerizing word, which is none other than WiFi. You can get access to the internet while you are eating, drinking, talking or lying with it. Oh, you don’t have a WiFi modem? No problem, Wifi modem is not an essential requirement to turn your PC/ Laptop into a powerful WiFi hotspot. Maybe you had this misconception, Shed it now. (Remember the hotspot feature on Android). 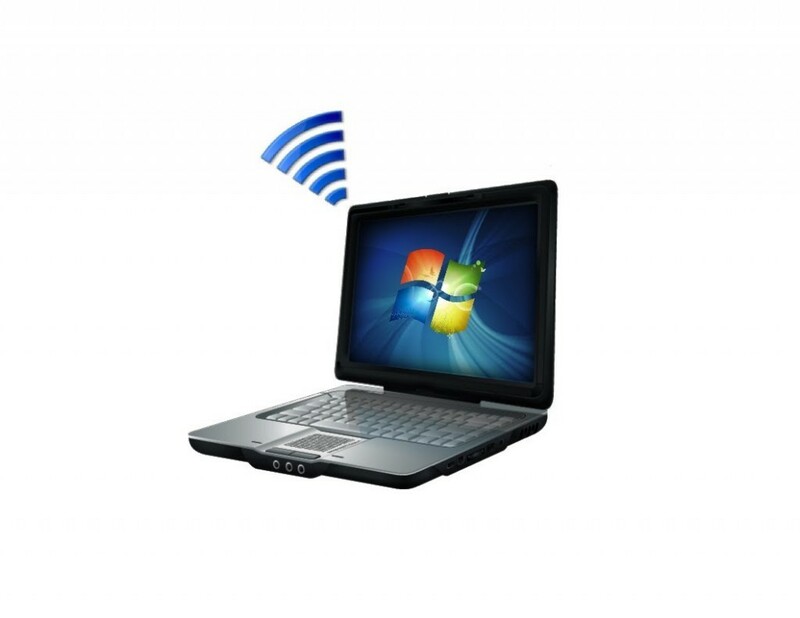 This post guides you to turn your PC/ Laptop into a WiFi hotspot without spending a single penny. Turn Your PC/ Laptop into a Powerful WiFi Hotspot? VA virtual router is an open source software that helps to share any connection of your PC/ Laptop with any gadget. The software can be downloaded easily and can be installed with a few clicks. So, no matter you travel a lot, the internet connection of your laptop (mostly USB modem) can be shared with your tablet/ smartphone without the help of any hardware. Let’s just look at the steps to follow. You must download virtual router software to proceed further. It is the very first step to be taken. As the software is available for free, all you have to spend is the time that will be taken in the download process. Download Virtual Router from here. Just locate the setup file and double click on it. You will be taken to an installation wizard. Follow the steps as for any installation. After the completion, open the software. You will be asked to set the access point. Three fields need to be filled (Network ID (SSID), Password, and Shared connection). Enter details on the first two fields and choose one from the third. 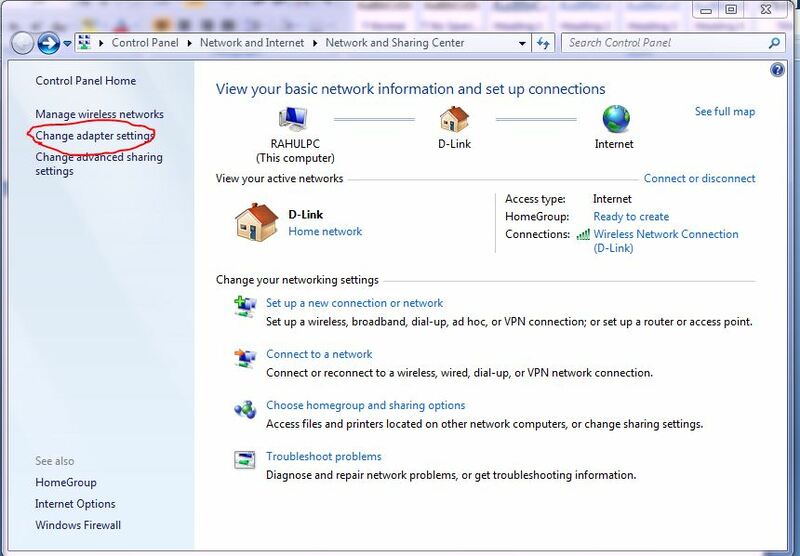 Click on Start Virtual Router. That’s all. Your PC/ Laptop has just been turned into a powerful WiFi hotspot. Whenever you want to stop the hotspot, just go to the software and click on Stop Virtual Router. N.B . 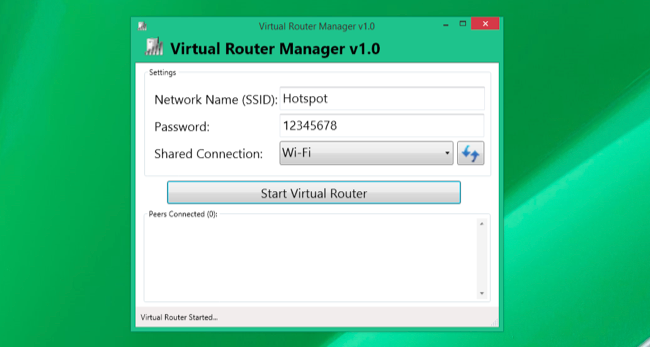 :- Virtual Router is the best software available to create a virtual wireless hotspot. WPA2 PSK Security is used in it to ensure the safety of users. To decrease the threat from creepers, you should set a powerful password. And don’t insert a password that can be recalled easily. Connectify is another software that serves the purpose of creating a WiFi hotspot. The only difference between Virtual Router and Connectify that I experienced is its availability. Virtual Router is completely free. But the second one comes as free and pro. You have to spend some bucks to bag the full features. Let’s get started with the Connectify. 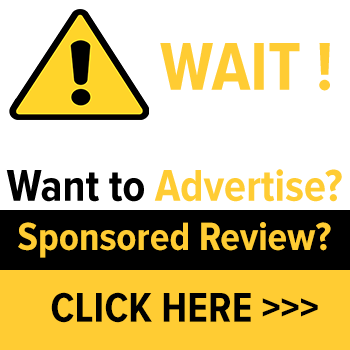 Visit here to download Connectify software. The setup file is only 9.79 MB. After the download process is completed, open the .exe file. Click on Run if you are asked. Then you should click on Agree to proceed further. 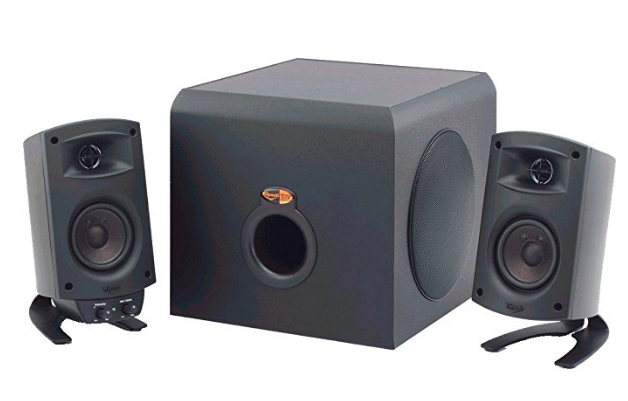 Follow next few steps to complete the installation. Open the software. There will be a Settings tab on the UI of it. Click on WiFi Hotspot under ‘Create a…’ heading. Then, you need to select the adapter from a dropdown menu. Take care to choose the right adapter which has a working connection. Now, you have to enter Network Name and Password. Double check these details before finishing the process. 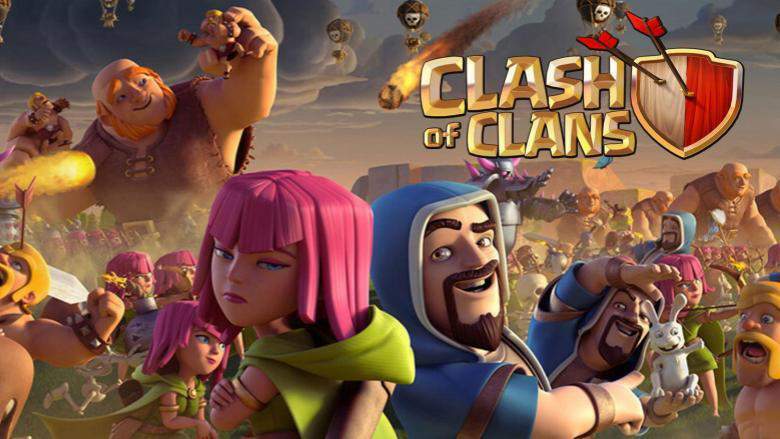 Enjoy the power of Wi-Fi hotspot now. If you like using a minimum number of software, this method suits the best to you. Here, you don’t need to download any third- party app to have a WiFi hotspot. There is a powerful tool with every Windows version. Guess what? 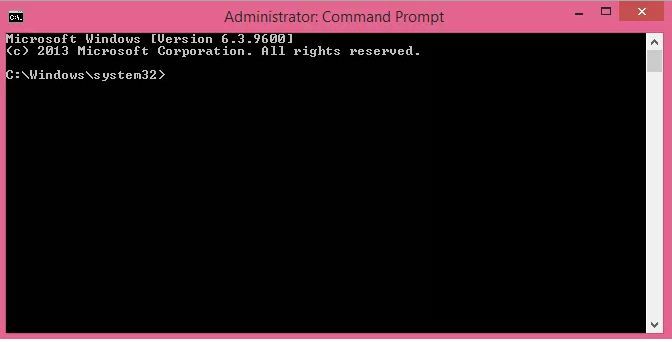 It’s none other than the command prompt aka CMD. 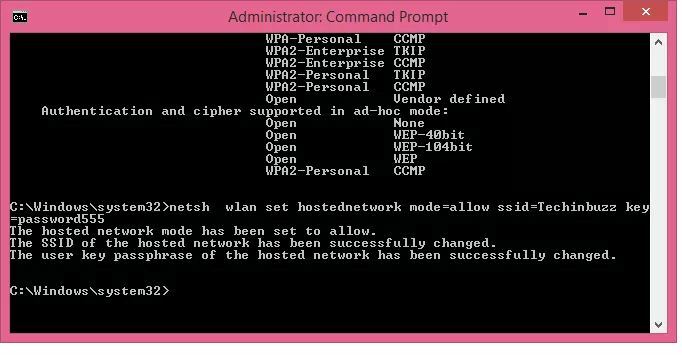 In this method, I will be showing you how to turn your PC/ laptop into a powerful hotspot with the inbuilt robust Windows tool, CMD. Type ‘netsh wlanWLAN show drivers’ after it will be opened. Press enter. 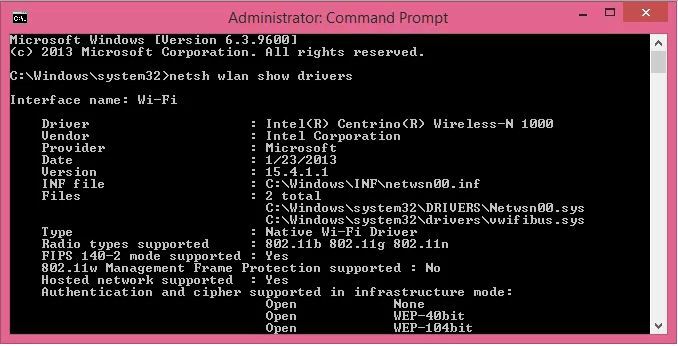 This command will display some details about the wireless connection. Check for ‘Hosted Network Support’. Make sure that its value is ‘Yes’. Then, you can follow the next steps. Then enter this command, ‘netsh wlan set hosted network mode=allow ssid=Network name key=Password’. SSID is the name of your hotspot and key is the password. Always make intense and difficult- to- break passwords. Press enter. You will get a success message as shown in the image. Enter ‘netsh wlan start hostednetwork’ to activate the hotspot. That’s all. Search for WiFi connections in your gadgets. You can see that one you have just created. Enter the password and connect to it. 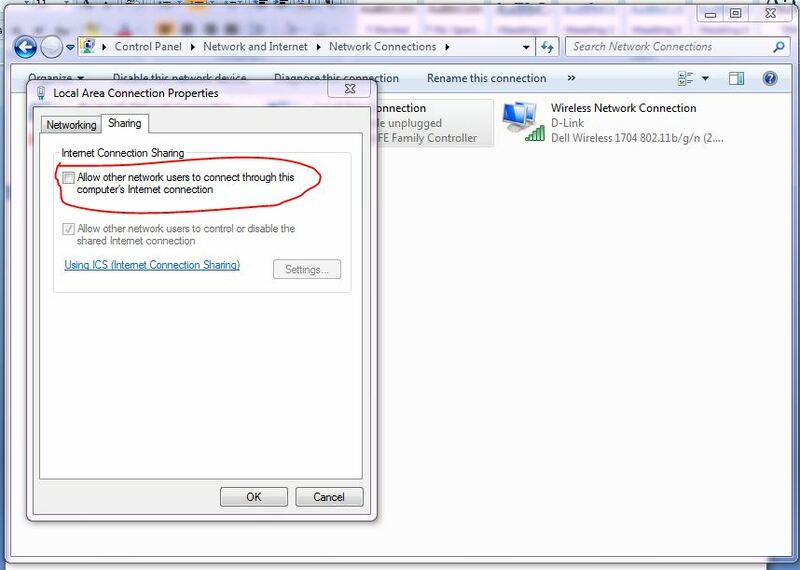 If you face any issue to get connected, open the network and sharing center. Select the connection that you want to get connected to. Right-click on it and choose properties (or simply press Alt+ Enter). Click on sharing tab. Then, tick the checkbox that says ‘Allow other network users to connect through this computer’s network connection.’ That’s all. After doing all these, your pc/ laptop will be a powerful WiFi hotspot without the help of any third party software. 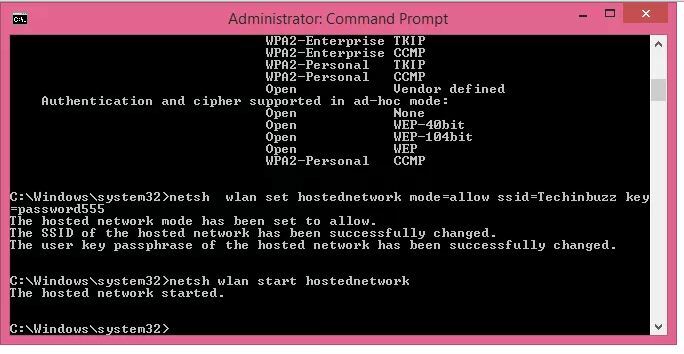 After the usage, follow #1 to launch cmd and enter ‘netsh wlan stop hostednetwork’ to stop the WiFi hotspot. Haven’t You Created WiFi Hotspot for Yourself? Why? See, you don’t have any hardware to serve the purpose. The only thing you want is a system with WiFi support and software. If you don’t like to use any software for this use, go with the third method. Open CMD, follow the steps and you are done. I hope you like the post and find this useful. Try any of the methods given above. Then, spread the words. Feel free to ask any queries related to this post. We are here for your help.